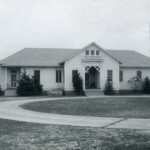 As early as 1785 records indicate that the estate of Jobe Wahab made a payment of 4 pounds, 16 Shillings to Henry Garrish for the “gradeschooling” of his son. 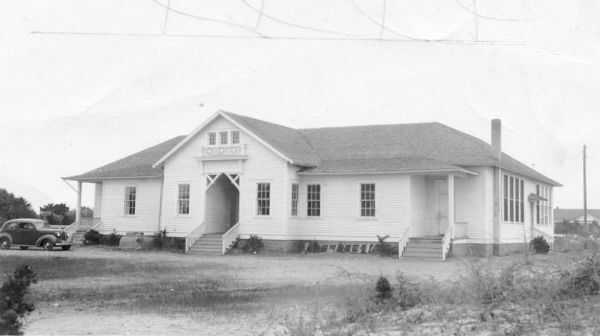 There is nothing to suggest that Ocracoke had a schoolhouse or any type of public education at that time. 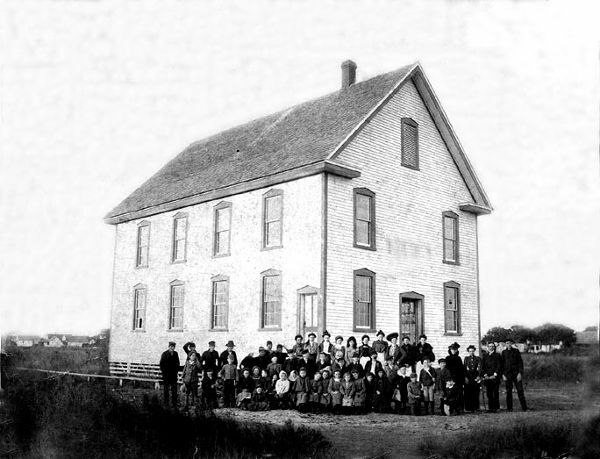 Mention of a schoolhouse proper occurs in the early nineteenth century. 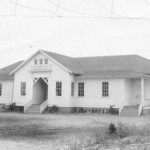 Local tradition indicates that this early schoolhouse was situated in the vicinity of the present day Ocracoke School vocational building, which is located nearby on the Back Road, next to the library. 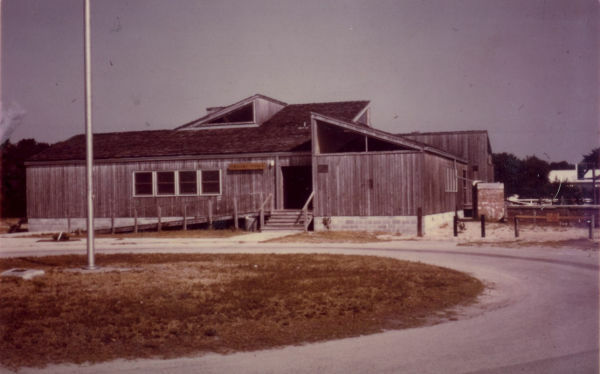 During the Civil War, two schools on Ocracoke were destroyed by Union soldiers who passed through the village after attacking Fort Ocracoke on Beacon Island. 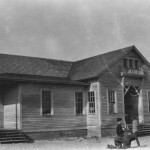 In the early 20th century public school was held on the first floor of the Odd Fellows Lodge which currently serves as the center section of the historic hotel, “The Island Inn.” At this time, island children who wanted a high school diploma were forced to leave Ocracoke. Most of these attended boarding school in eastern North Carolina. 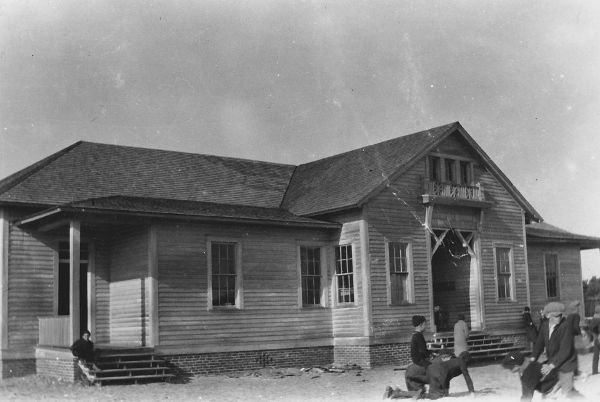 In 1917, a schoolhouse was built where the current school’s main build stands today. 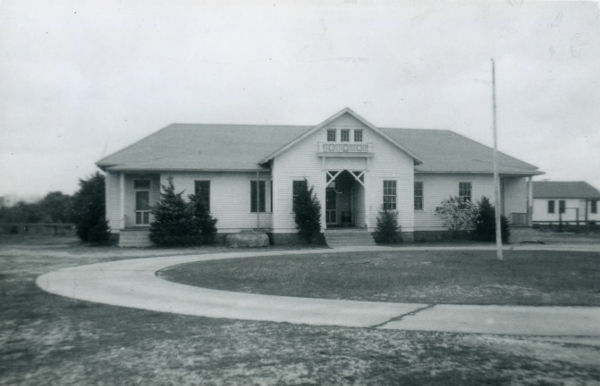 The schoolhouse you see today was completed in the summer of 1971. 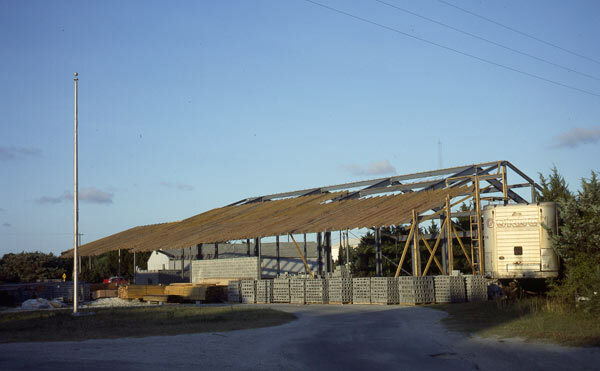 In 1977 a gymnasium, additional classrooms, and a shop were added. 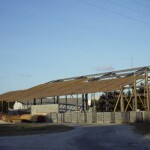 More rooms were added in 2006 and a new gym and lunch room was completed in 2011. 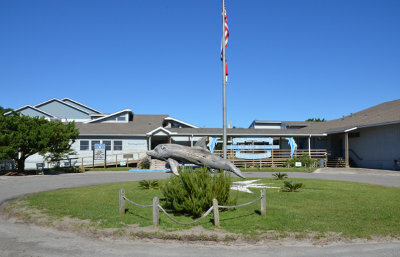 Even today, total enrollment at Ocracoke School is seldom much more than 100 students. 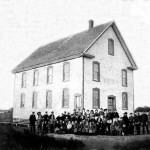 Graduating classes range in size from one or two to slightly more than a dozen. 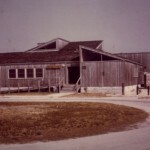 Ocracoke School is the smallest K-12 public school in North Carolina, and the only North Carolina state school without a cafeteria. Children either bring their lunch with them or ride their bikes home for lunch. NOTE: If you are not walking or biking, you will need to take an alternate route to the next stop. Please travel to NC Highway 12, take a left, then the next left. The library will be on your left after the sharp left curve. This route is in blue on the “next stop” map.